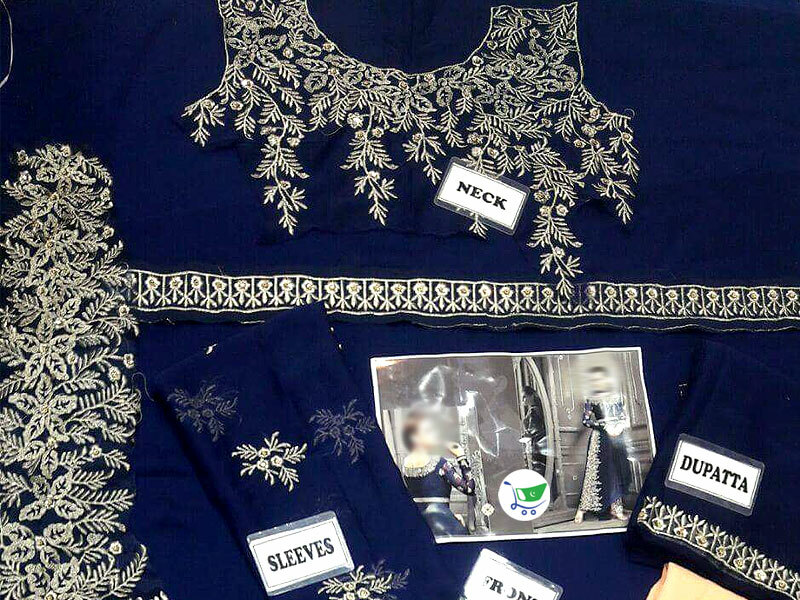 Indian style embroideries and cuts can always be spotted in Pakistani clothing, plus they have a high consumer demand since the impact of Indian fashion on Pakistanis is significant. This Indian style party frock can be stitched according to your personal style and its premium quality crinkle chiffon fabric makes this frock very festive appropriate. The Indian Embroidered Chiffon Frock is available in the form of three-piece unstitched suit, featuring a navy blue frock and dupatta, with a pastel pink trouser. With a detailed vine style thread work on the neckline, sleeves, and the side of the frock, it gives the suit the charming factor, plus due to its elegant design, the dress is very suitable for Eids, semi-formal events, etc. 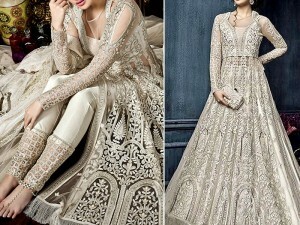 The dupatta has a light embroidery on its border, and the trouser comes with a beautiful zari work organza patch. 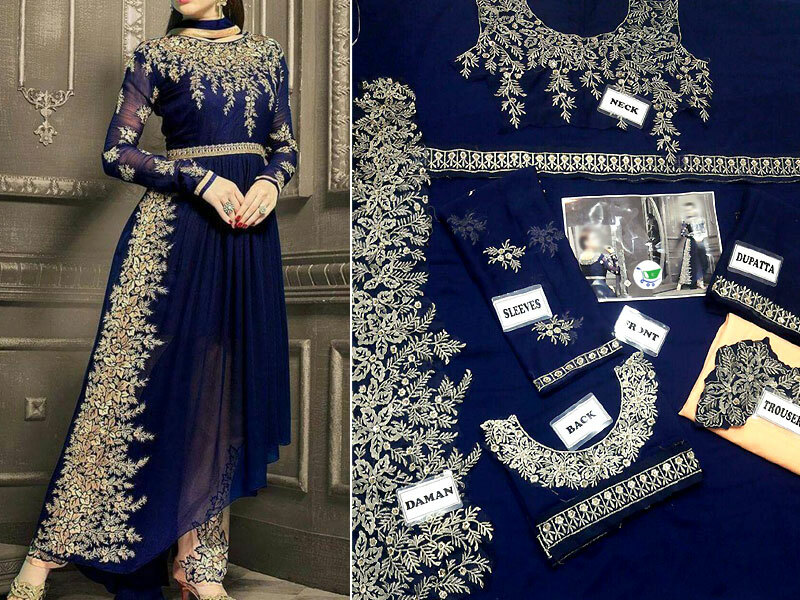 Indian Embroidered Chiffon Frock Price in Pakistan (Code: M009204) offer by PakStyle are just Rs.2095/- instead of Rs.3000/-. 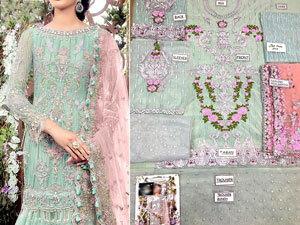 Buy Indian Embroidered Chiffon Frock Online in Pakistan and variety of other products like Womens Clothing, Womens Dresses, Chiffon Suits, Indian Dresses, Party Frocks, Blue Wedding Dresses at PakStyle.pk and enjoy Fast Shipping with Free Home Delivery in Karachi, Lahore, Rawalpindi, Islamabad, Faisalabad, Hyderabad, Quetta, Peshawar, all across Pakistan and get it delivered in 1-4 working days. This dress looks awesome and i really like it. Do you guys provide stitching services?